Just in case if you haven't heard, Converse is having an ongoing month-long sale at the Olympic Outlet at the 2nd Level of Robinson's Pioneer! Enjoy up to 50% off on selected footwear, apparel, and accessories. 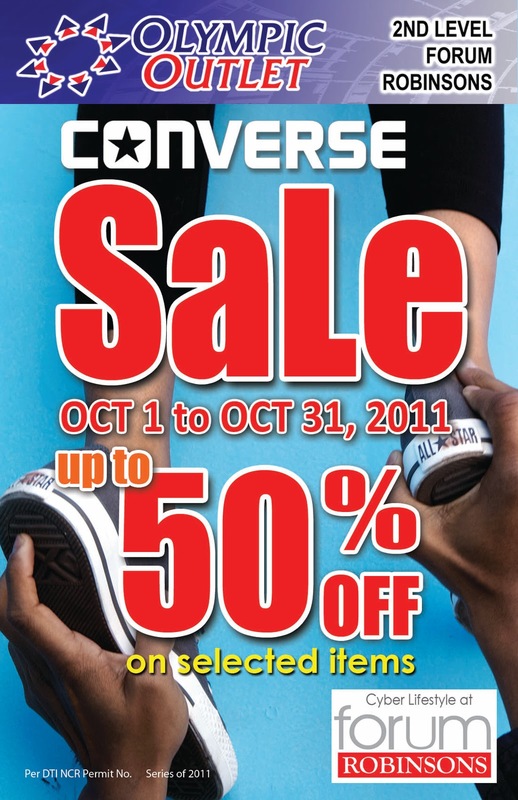 I haven't checked it out yet but you may see items like these on sale which I posted on my previous post about the Converse Eastwood Launch. Hmmm.. looks like there are a lot of things to look forward to this weekend! A lot of sale events. So don't miss out dear coffeeholics! Start crossing out your Christmas Shopping list and buy stuff early. It never hurts to plan and buy ahead of time especially if its SALE!